Choosing the most suitable air conditioning system for your retail environment is essential to provide a comfortable and welcoming environment not only for customers, but also for staff. 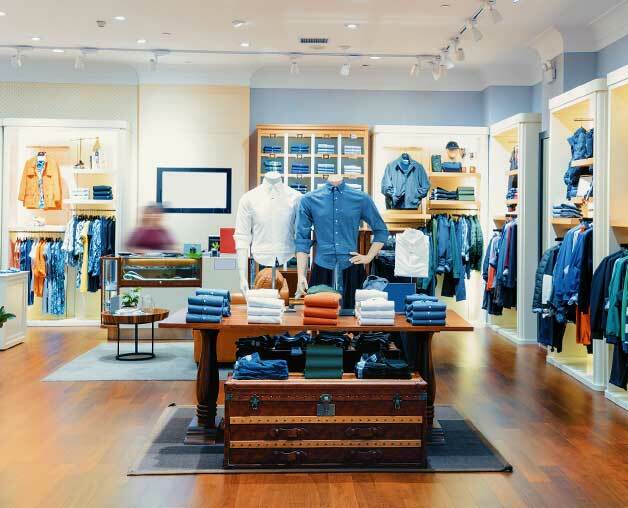 Providing a comfortable temperature in your retail facility may increase customer visits and sales. Retail air conditioning requirements are much larger compared to domestic systems. They often take on a much heavier workload and need to be well maintained to provide efficiency and reliability. Mouritz installation team are certified in installing, servicing, and repairing these systems correctly. Having the skills and experienced for all of your retail heating and cooling requirements. Choosing the right art conditioning unit will depend on your retail environment and requirements. A ducted refrigerated system may be a good choice for larger retail spaces. Being quiet and efficient, these systems have the benefit of providing heat as well as cool air for year-round comfort. For a smaller retail space, you may prefer a split system air conditioner. These units are fast and cost effective to install. They also come in multi-head systems which can provide temperature control in multiple rooms. If your retail space is very open or requires lots of fresh air, an evaporative system may suit your needs. While this system requires an open door or window to function, it provide a continuous supply of fresh air rather than recirculating the same air over and over. Evaporative systems are also one of the most cost-effective systems to operate and maintain. A regular service schedule is important for all types of air conditioners in your retail environment. Regular maintenance ensures that your system continues to work efficiently throughout its lifespan. Regular services save money by preventing major problems or repairs. How often to service your air conditioner will depend on a few factors. It’s a good idea to refer to your owner’s manual as a guide. However, depending on your system and the level of usage, it should be serviced every one to two years. This needs to be done by a qualified technician. An important part of maintenance is keeping the filters clean. Filters which are cleaned on a regular basis reduce the build-up of dust, mould or bacteria which can affect the health and comfort of your customers and staff. A well-maintained air conditioning system will ensure a healthy environment by keeping the air fresh and clean. Choosing an air conditioning system that is suitable for your retail space is the first step to providing a comfortable environment for your staff and customers. Professional installation is important for the best performance and lifespan of your new system. Cheap and unskilled installation can lead to expensive repairs, high electricity bills and poor performance over the long term. The Mouritz team are specialists in all air conditioning installations, service and repairs. Mouritz installation team are certified in installing, servicing, and repairing these systems correctly. Our team members are available to answer any queries you have or to schedule an appointment.